I love the scarf and the bag is cute also! I really like the look! Love the whole look especially the scarf and earrings!! Did you get those earrings from Rachel Stewart Jewelry? 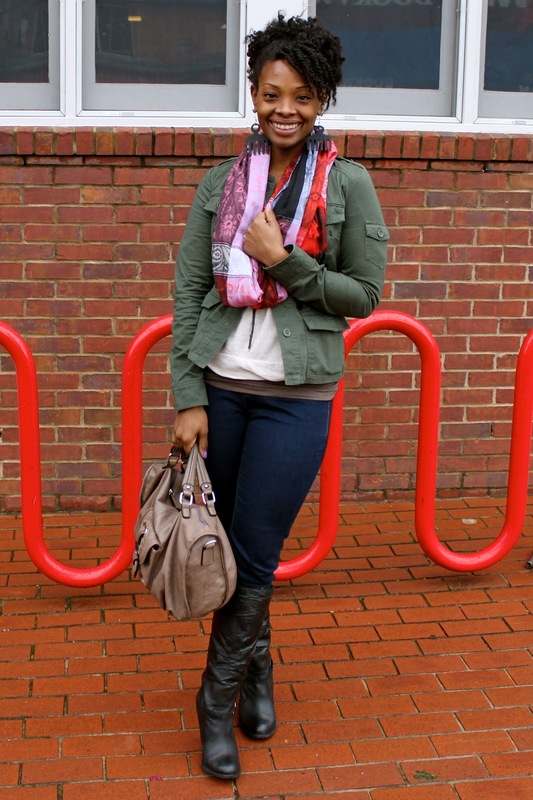 Pashmina scarves give a accentuate look to your outfit. Love to buy an amazing collection of Pashmina scarves available in vivid design, pattern and colors. .